Check out the latest from Cat Banks right here. 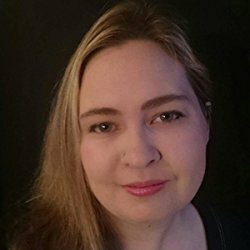 Catherine Banks is a fantasy author who writes in several fantasy subgenres under two pseudonyms. She began writing fiction at only four years old and finished her first full-length novel at the age of fifteen. She is married to her soulmate and best friend, Avery, who she has two amazing children with. After her full time job, she reads books, plays video games, and watches anime shows and movies with her family to relax. Although she has lived in Northern California her entire life, she dreams of traveling around the world. Catherine is also C.E.O. of Turbo Kitten Industries™, a company with many hats including being a book publisher and Etsy store full of nerdy fun. Fans of Ilona Andrews and Kelley Armstrong will love this new action/adventure featuring a strong heroine just trying to live her life. Anja escaped slavery and made it to the promised realm. However, her secret may destroy her friends and ruin the new life she desperately craves. Forces are gathering and she must reveal her secret to keep her loved ones safe. Tora’s been on a lot of awful blind dates. 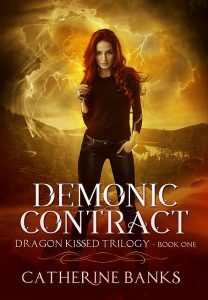 All she wants is to find someone who loves her for who she is, which might be a tall order considering she’s part demon. But then she goes out with the gorgeous Edan, and the pair immediately hit it off. Edan’s forthcoming about being a dragon, and royalty, to boot, which only makes Tora even more reluctant to risk ruining things by telling him about her demon heritage. However, no matter how hard she tries, she can’t keep it a secret forever.